After the success of last Novembers Bike Fest, it is now a bi-annual event being hosted March 30th and November 2nd. 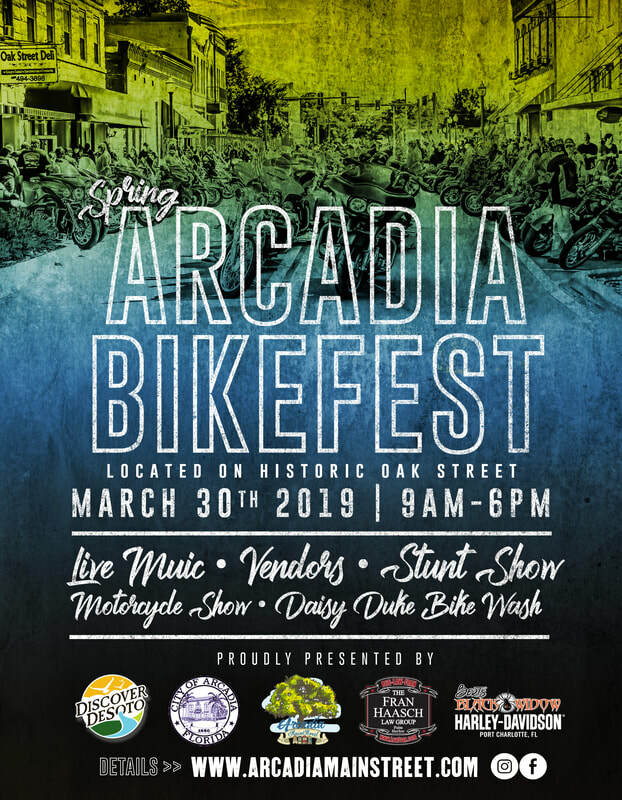 Historic downtown Arcadia will be booming with vendors of all kind, a bike show, Extreme Fury Stunt Show, Daisy Duke Bike Wash and more. All FREE to the public.